Is it called Glühwein or mulled wine? 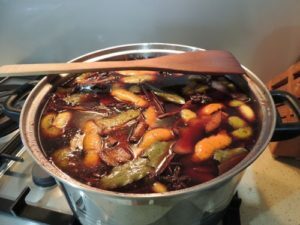 At Macenmist we call it Glühwein, a German take on mulled wine. 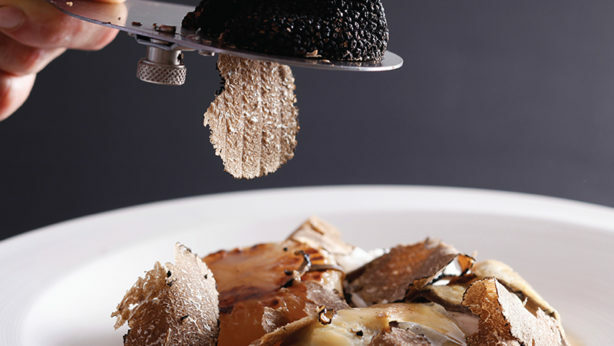 As part of every truffle hunt, you’re invited to partake in the especially soul warming beverage. Now with the truffle season nearly upon us it is time to make the spice infused base that will eventually form our much sought after Glühwein. Before you can sample Macenmist’s Glühwein, our own Shiraz grapes have to be picked and wine made long before the spiced syrup is even thought about. The syrup needs to slowly embrace all the spice flavours and mingle with the wine while the alcohol evaporates. Just before our guest truffle hunters arrive, the additional wine is incorporated and gently warmed on a low heat, ready to serve. During the cold winter months of the truffle season, its lovely to celebrate both the truffle hunt and grape harvest and we’re sure you’ll enjoy our Glühwein. Prost!